Innovative Mobile apps has a new app gone free called Little Finder. 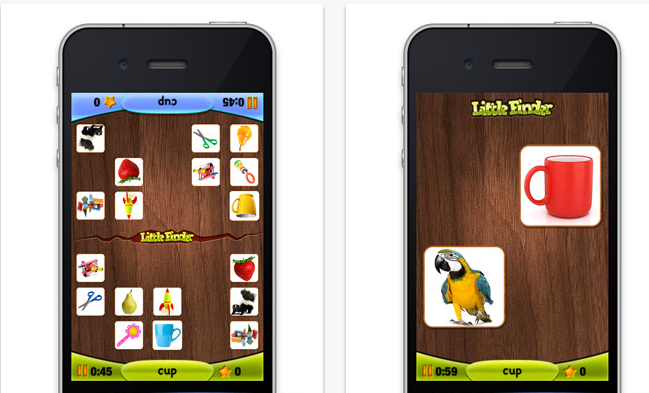 Little Finder is available for iPhone and iPad and provides a one or more player game to visually search for objects. It provides audio and visual matching supports making it more accessible for emergent readers to independently play. Check it out to see if it can be part of your OT iTool kit! This entry was posted in App Reviews, Apps for OT's, Early Childhood, iPad, iPhone, iPod, Visual Perception and tagged App Review, iPad, iPhone, iPod, occupational therapy, OT Apps, Visual Perception. Bookmark the permalink.